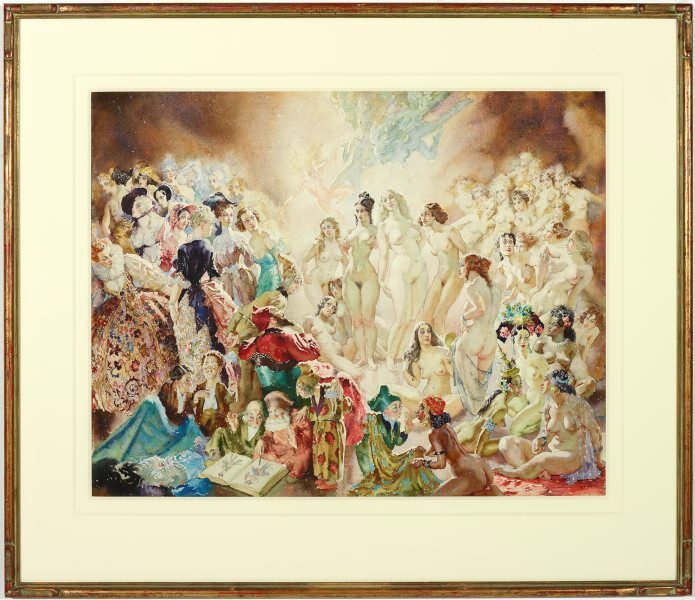 Signed and dated l.r. 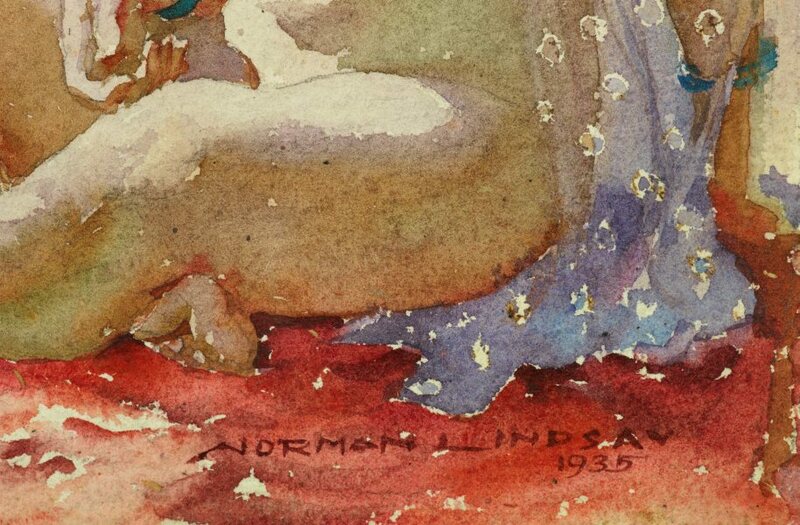 corner, red watercolour "NORMAN LINDSAY/ 1935". 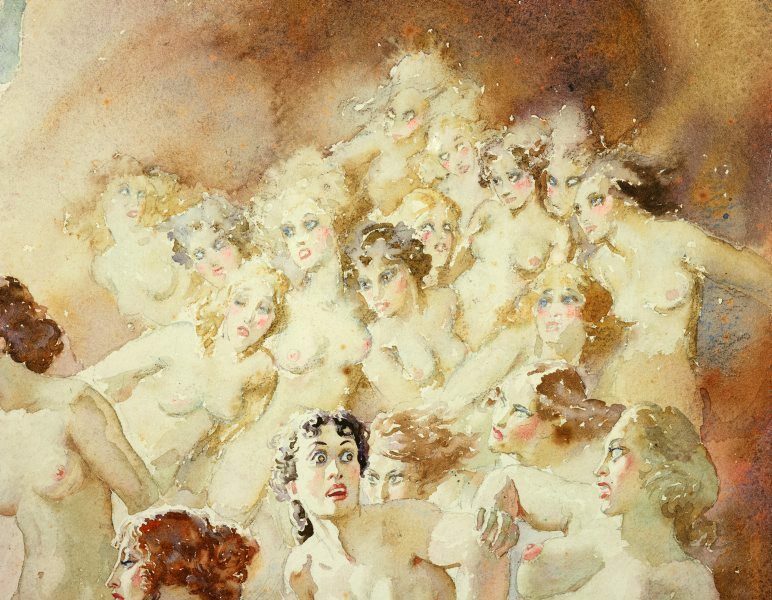 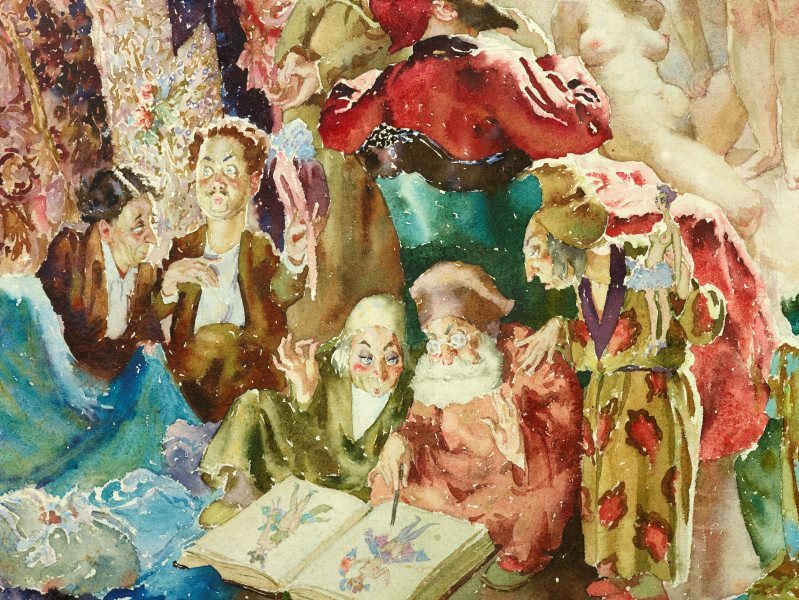 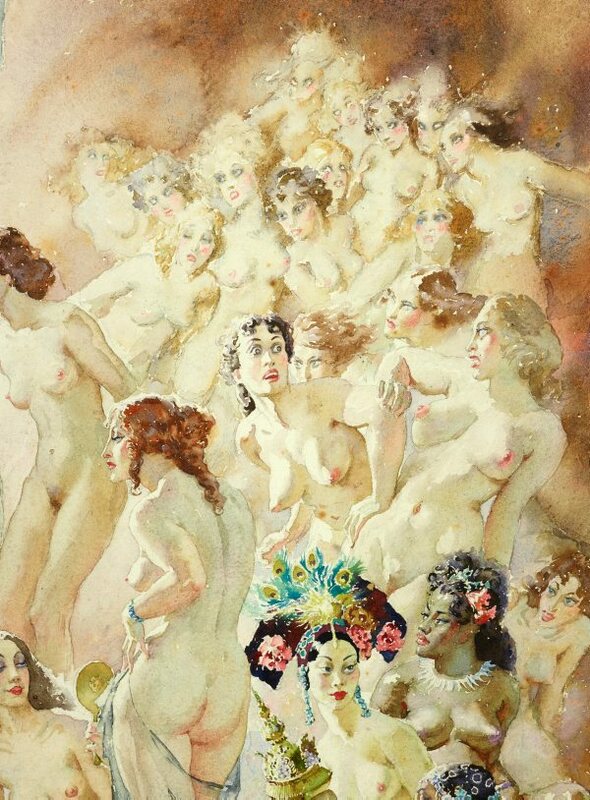 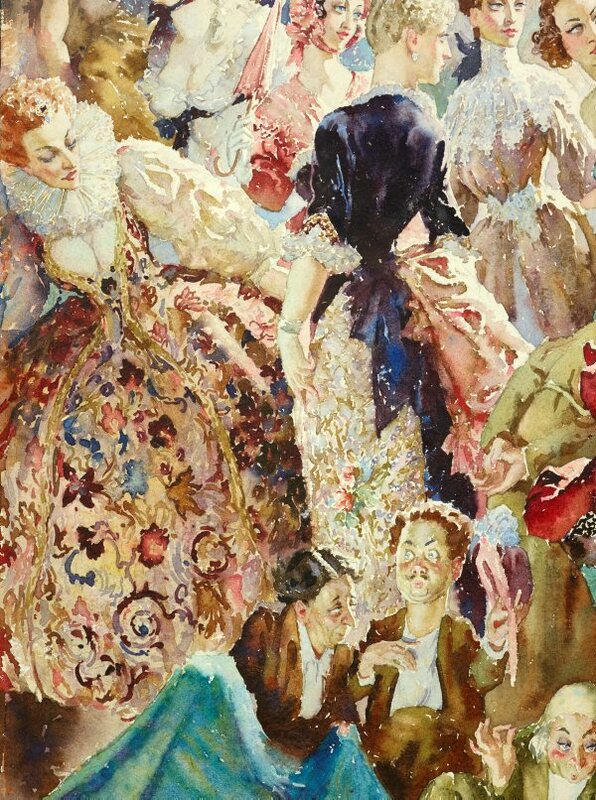 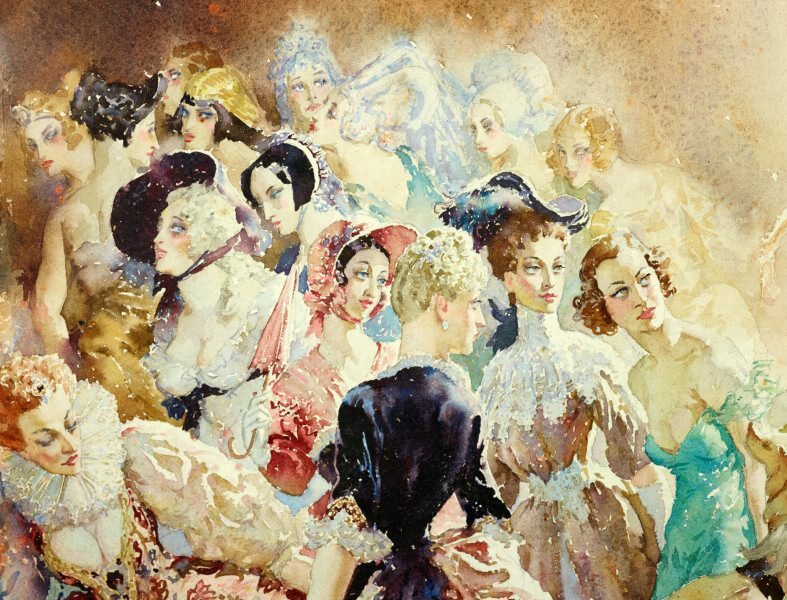 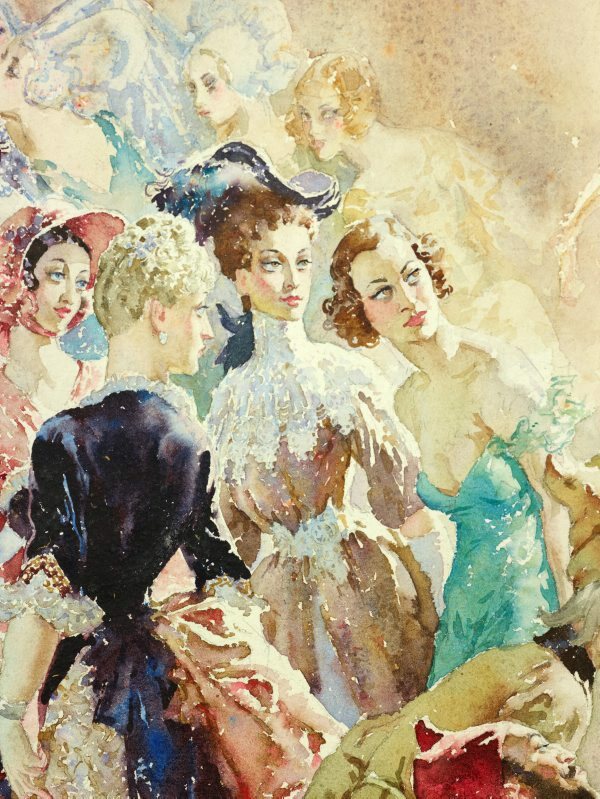 Norman Lindsay: watercolours 1897 - 1969 , 'Court', pg. 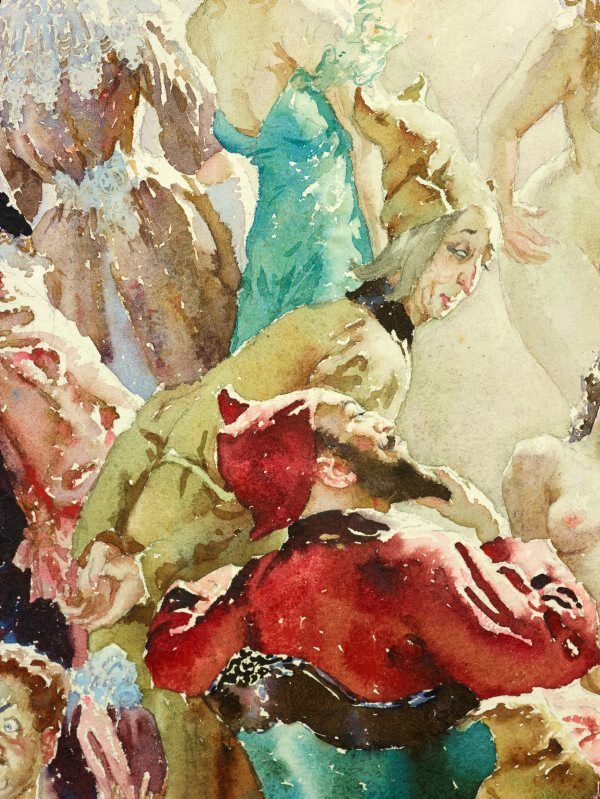 206-207, Bungendore, 2003, 206 (colour illus., detail), 207 (colour illus. 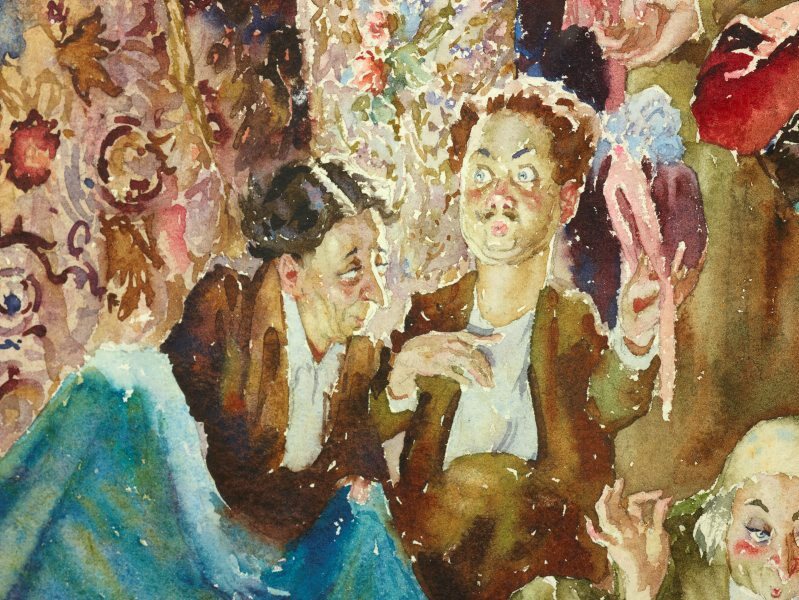 ), 296.